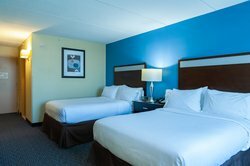 Located just off the Lansdale exit of the PA Turnpike, our hotel rooms feature the ideal combination of contemporary design and the comforts of home. 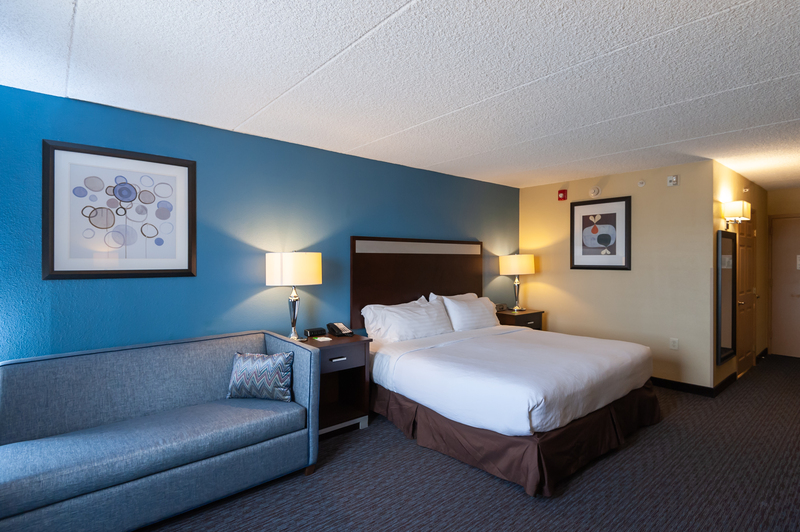 Business and leisure travelers alike will enjoy the thoughtful in-room amenities, including iPod compatible AM/FM clocks, luxury bedding, and Keurig coffee makers for a morning brew. Let our hotel near Lansdale act as your home base during your trip to Pennsylvania. All of our hotel rooms provide free high-speed Wi-Fi so you can work outside the office with ease. Set up your laptop at the large, well-lit work area in your room or stop by our 24-hour business center in the lobby. Kick back to watch your favorite show on the 32” flat-screen LCD television. It’s easy to store snacks in the refrigerator or reheat leftovers in the microwave, all from your room here at our hotel near Lansdale. 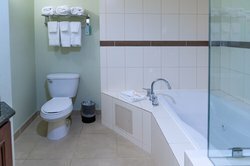 Here at Holiday Inn Lansdale - Hatfield, we have accessible rooms available, in addition to pool view rooms and ones with sleeper sofas. Well-behaved pets are welcome and there is a dog-walking area behind the hotel. 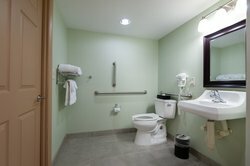 Experience an assortment of big city services in a small town setting at our Lansdale hotel. 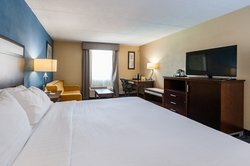 Interested in booking a group block? Click here. 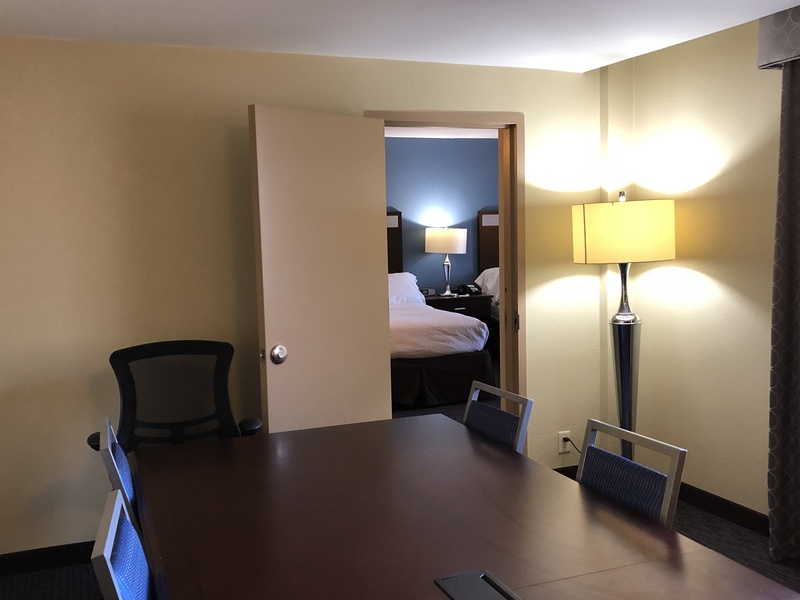 Solo travelers have everything they need within this contemporary room, which features a king bed and well-lit workspace with an ergonomic chair. 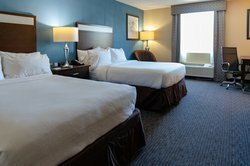 Enjoy luxury bedding, a 32” flat-screen television, Keurig coffee maker, and several charging ports. All guest rooms include a microwave and refrigerator for you to prepare snacks. 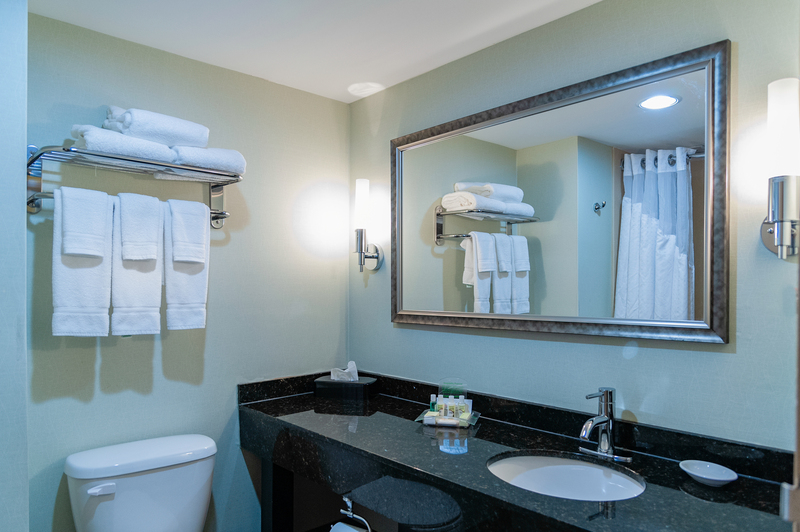 Business and leisure travelers alike will enjoy the thoughtful in-room amenities, including iPod compatible AM/FM clocks, luxury bedding, and Keurig coffee makers for a morning brew. 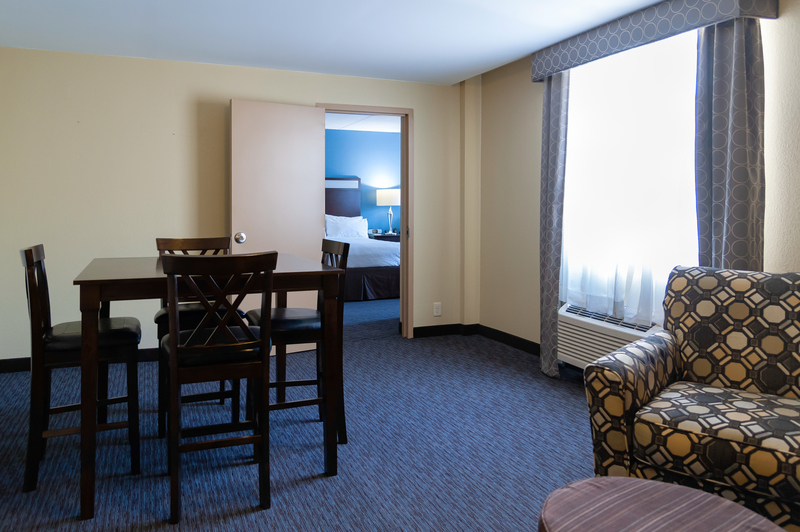 Let our hotel near Lansdale act as your home base during your trip to Pennsylvania. 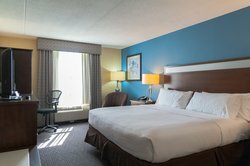 Sleep well during your business trip to Lansdale in this executive room with a king bed and sleeper sofa for additional guests. Within the room is luxury bedding, a 32” flat-screen television, Keurig coffee maker, and several charging ports. Perfect for special occasions, drift off for an excellent night’s sleep with luxury bedding. Traveling groups can stretch out with two double beds, each made up with luxury bedding. Keep the peace with a 32” flat-screen television, Keurig coffee maker, and several charging ports. ﻿﻿Indulge in our deluxe suite with a whirlpool tub to soak the day away. Perfect for special occasions, drift off for an excellent night’s sleep with luxury bedding. 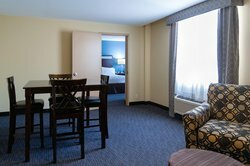 The deluxe suite includes a 32” flat-screen television, Keurig coffee maker, and spacious work station. 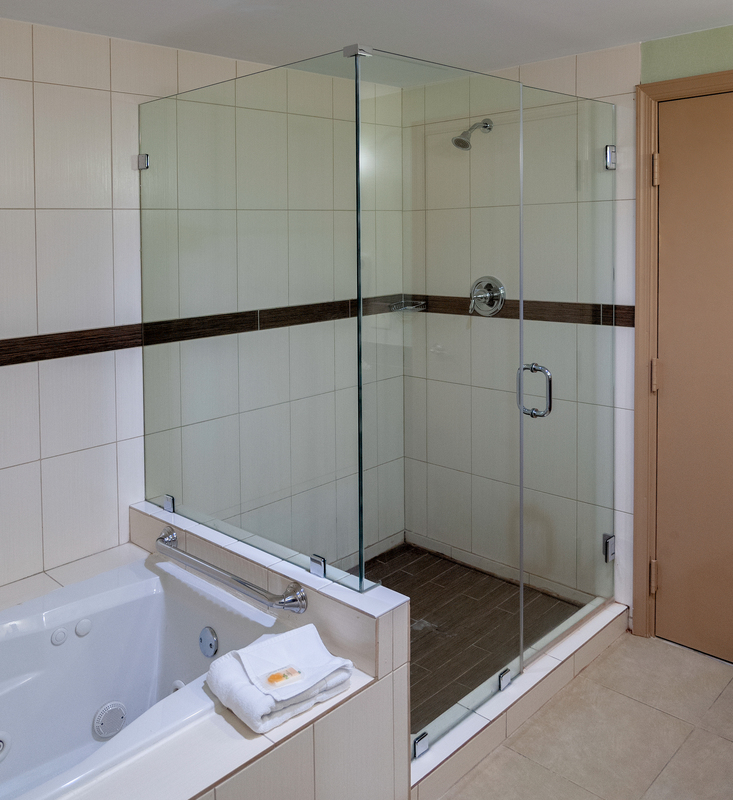 Indulge in our deluxe suite with a whirlpool tub to soak the day away. Perfect for special occasions, drift off for an excellent night’s sleep with luxury bedding. 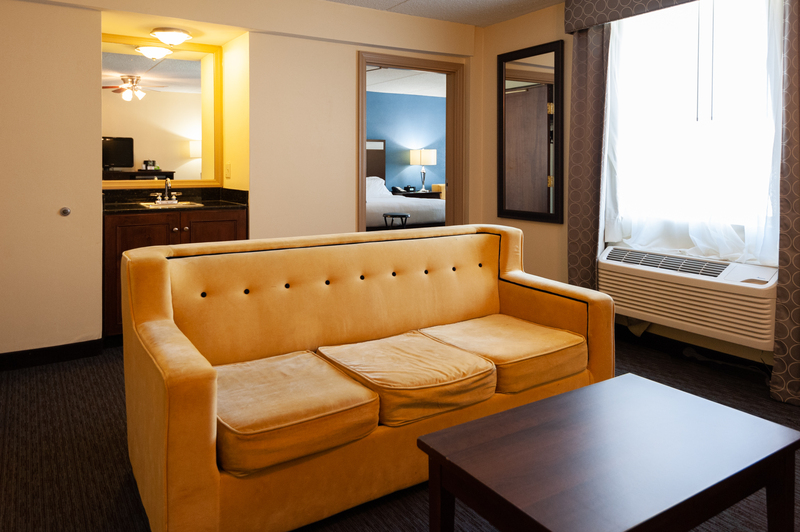 The deluxe suite includes a 32” flat-screen television, Keurig coffee maker, and spacious work station. 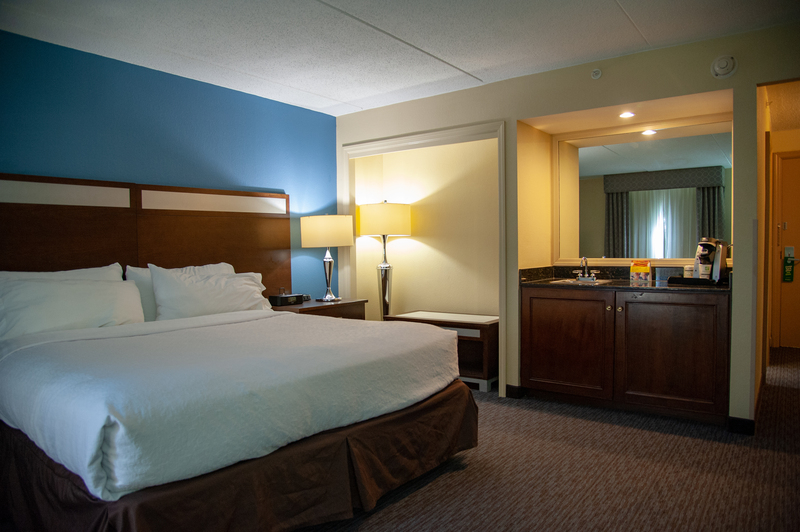 The deluxe suite includes a 32” flat-screen television, Keurig coffee maker, and spacious work station. 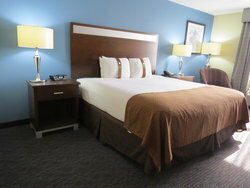 Relax and unwind in this spacious two-room suite with a king bed and two sleeper sofas. All of our rooms come with free high-speed Wi-Fi, a 32” flat-screen television, and a Keurig coffee maker. Relax and unwind in this spacious two-room suite with a king bed and two sleeper sofa in a separate living space. Extra Living Space in our 2 double bedded suite. Call today to book this suite! 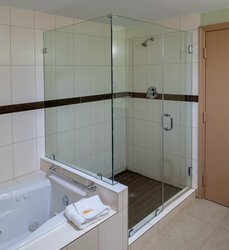 Traveling with the Family and need extra room? Call directly to book our special two-room 2 double bedded suite. 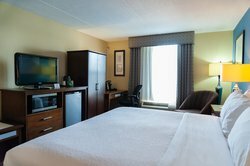 Enjoy a productive stay in our Conference Suite! This two-room suite boasts a master bedroom with 2 double beds and a separate room with a boardroom table and seats for 12. Relax in the additional sitting area or work outside the office at the well-lit desk with an ergonomic chair and HDMI charging pots. 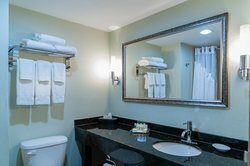 With thoughtful amenities like free Wi-Fi and Bath & Body Works products in the spacious bathroom, it's easy to feel at home in this two-room suite. 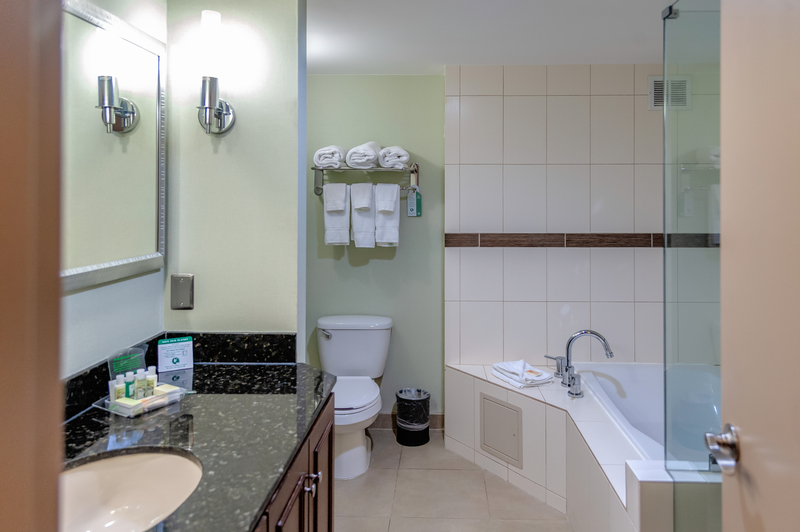 Indulge in our deluxe suite with a whirlpool tub to soak the day away. Perfect for special occasions, drift off for an excellent night’s sleep with luxury beddings. 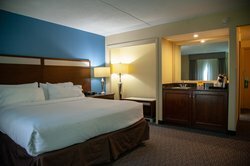 The deluxe suite includes a 32” flat-screen television, Keurig coffee maker, and spacious work station. 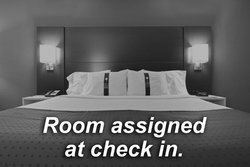 Bed type and smoking preference cannot be guaranteed as it will be allocated upon arrival based on availability. 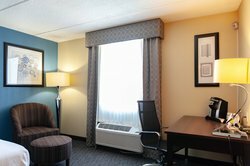 Enjoy free high-speed Wi-Fi, a 32” flat-screen television, and a well-lit work desk with an ergonomic chair while staying at our hotel near Lansdale. 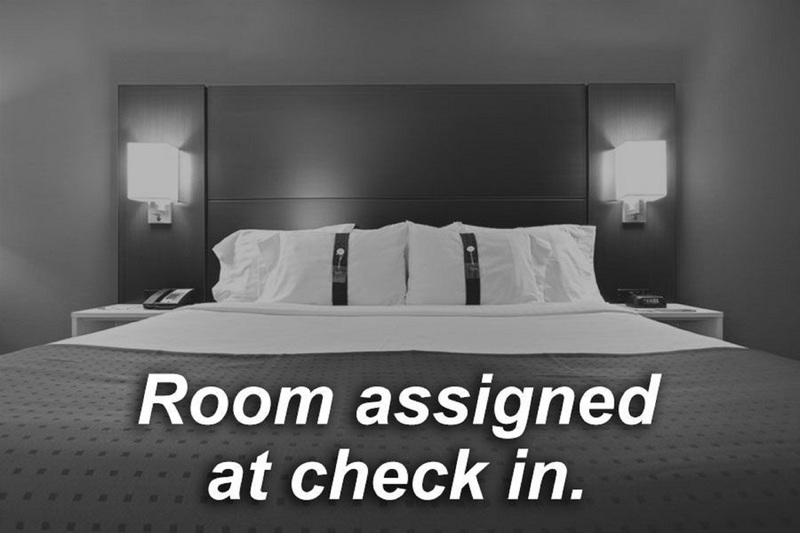 Bed type and smoking preference cannot be guaranteed as it will be allocated upon arrival based on availability. Enjoy free high-speed Wi-Fi, a 32” flat-screen television, and a well-lit work desk with an ergonomic chair. 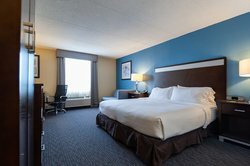 Sleep well in our hearing accessible king room with a spacious bathroom and visual alerts from the phone, clock, and doorbell. All of our rooms come with free high-speed Wi-Fi, a 32” flat-screen television, and a Keurig coffee maker. 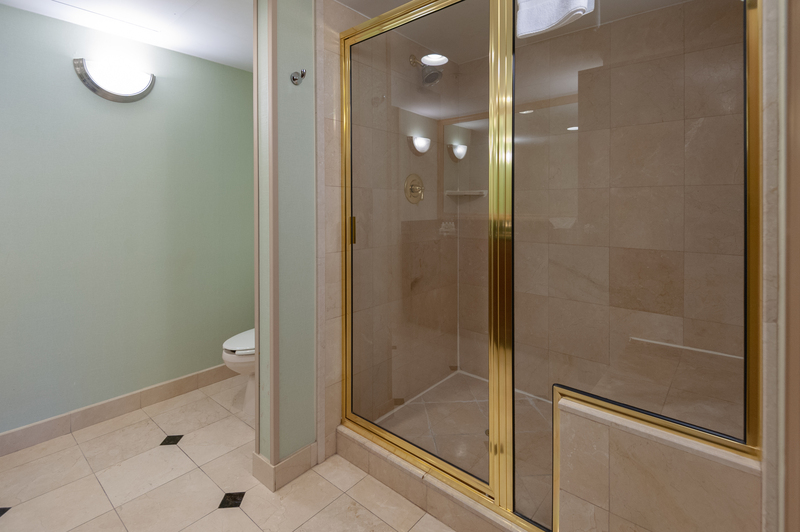 Choose style and comfort in our accessible room with a king bed and roll-in shower. 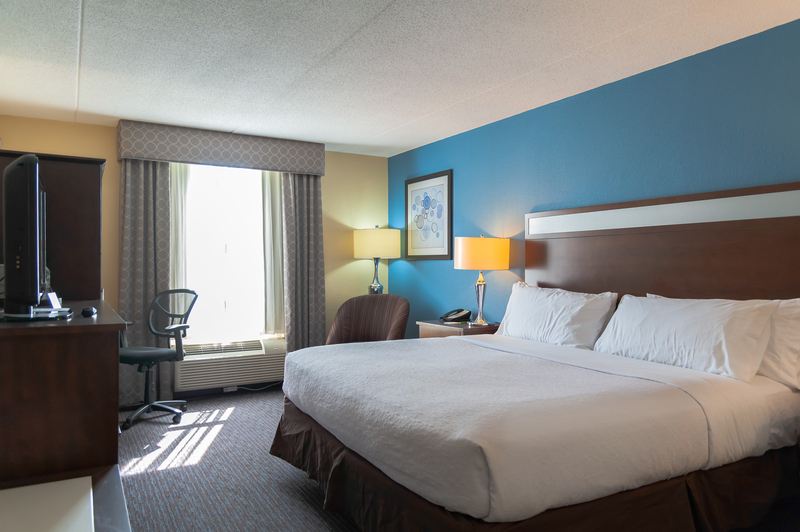 Our spacious rooms include free high-speed Wi-Fi, a 32” flat-screen television, and a Keurig coffee maker. Find the space and comfort you’re looking for in our accessible room with two double beds. 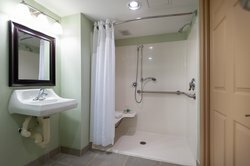 The spacious bathroom has a roll-in shower for guests in wheelchairs. All of our rooms come with free high-speed Wi-Fi, a 32” flat-screen television, and a Keurig coffee maker. Choose a room with accessible features that accommodates your whole group, such as grab bars in the bathroom and visual alerts from the phone, clock, and door. Keep the peace with a 32” flat-screen television, Keurig coffee maker, and several charging ports. Keep the peace with a 32” flat-screen television, Keurig coffee maker, and several charging ports.